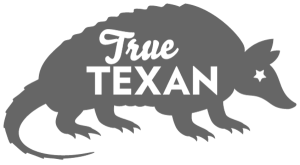 Art of 12 is one of the dozens of art galleries in Wimberley. Herb Smith, one of the many artists who call Wimberley home, fell in love with the village during an encounter with the Blanco River in 1974. Open Mon-Sat 10 a.m.-6 p.m.
He’d been working in Houston as an illustrator for medical educational materials when a bout of pink eye forced his daughter to miss her bus to a Hill Country summer camp, and Smith ended up driving her to Wimberley after she recovered. At the camp director’s recommendation, he pulled the family pop-up tent trailer into a now-defunct campsite at a picturesque area of the Blanco called the Little Arkansas, downstream from Wimberley. “The river was just beautiful,” he says of that first visit. “After driving in through the cypress trees for just a few seconds, I was hooked.” In 2002, Smith began building a house. 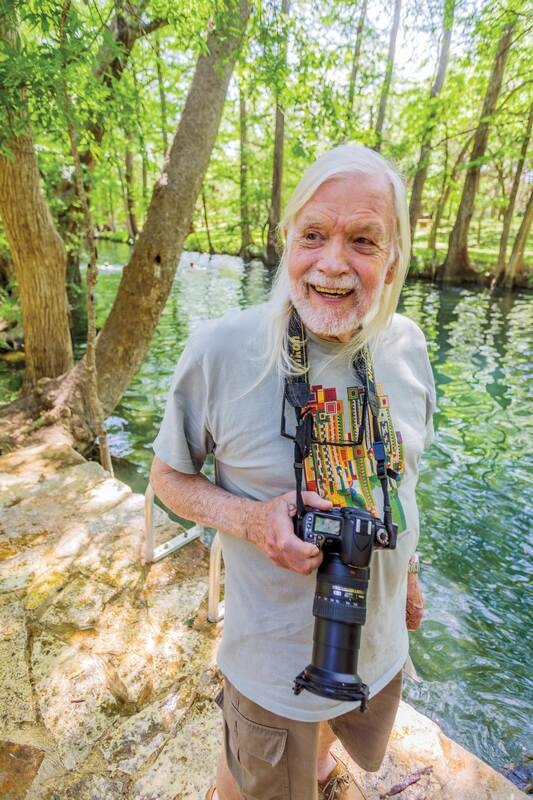 Now retired, he lives in Wimberley full-time and has turned his hobby of photography into a business. His beloved river is a frequent muse, and his photos teem with intricate lines and captivating use of light and color. As nature-loving artists like Smith have flocked to Wimberley, 40 miles southwest of Austin, the town has cultivated a culture of creative spirit and artistic pursuit. A dozen downtown galleries featuring works from nearly 300 artists in various mediums and 50 colorful, oversized boot sculptures around town (a project established by the Wimberley Valley Arts and Cultural Alliance in 2014) add to the vibe. This dedication led the Texas Commission on the Arts to recognize Wimberley in 2015 as one of the 36 cultural districts in Texas. Bent Tree Gallery, established by Allen and his daughter nearly a decade ago, is one place in the town square where visitors can purchase a piece of locally made and inspired art. Allen’s photo-based digital art creations include a piece titled Cypress Creek in the fall, in which he captures a beautiful Texas fall day with golden leaves against a clear blue sky. Over at Pitzer’s Fine Arts, located near the square, owner Rob Pitzer curates a mix of local and national artists. On the wall behind Pitzer’s desk hangs the work of Wimberley artist Lilli Pell, whose paintings have a strong Texana theme, featuring cattle, fences, and valley landscapes. 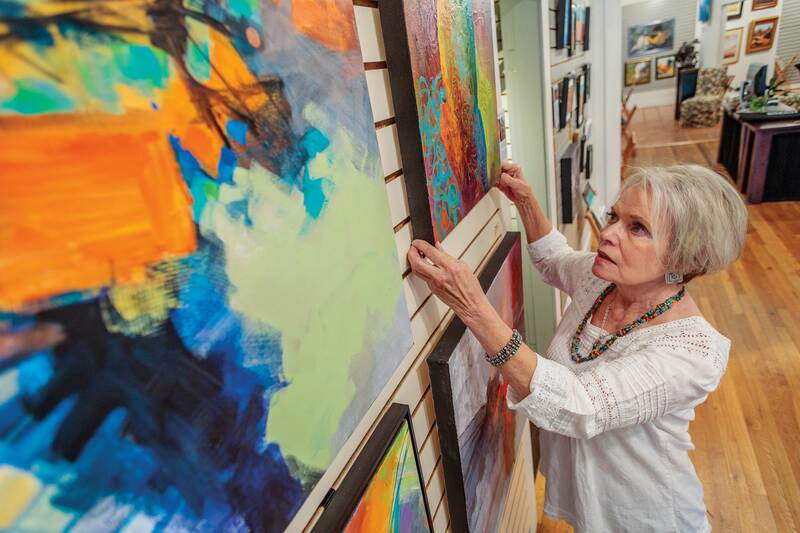 Last year, she sold more paintings than any of the gallery’s other artists. While Pitzer says many tourists come in for local art like Pell’s, he also has visitors looking to purchase work from nationally known artists in his collection. Despite the Blanco’s contribution to Wimberley in beauty, tourism, and commerce, most of the banks are on private property, so public access is limited—and the river also carries the potential for danger. In 2015, horrific flooding overtook the area, destroying property, taking lives, and bringing down many well-established trees. Smith, the photographer, said his own home received 8 feet of water. As difficult as his personal recovery process was, seeing the changes along the river was equally devastating. He and many other Wimberley residents agree that a degree of its beauty was lost in the flood. But the destruction has inspired other artists. To honor the downed bald cypress trees, as well as lost oak, pecan, and walnut trees, local artist and handyman John Hollaway began collecting the massive wooden remains and turning them into one-of-a-kind pieces of art and furniture. Three years later, Hollaway is still filling custom orders with the salvaged trees.